If you’ve been a regular listener of the podcast and member of the FootClan, perhaps by now you’ve heard the hustle and bustle on the podcast about the Ultimate Draft Kit. Maybe you’re still not convinced that the UDK is any different than any other fantasy football website, magazine or content out there. Heck, it’s only February so why start talking about draft season? Why not choose a site with a proven track record of winning? The Fantasy Footballers are a multi-award winning podcast with one of the largest audiences in the world and winners of several 2016, 2017, and 2018 awards including the FSTA’s “Best Fantasy Podcast” and the 2019 “Best Sports Podcast” award from IHeartRadio. The Fantasy Footballers are the ONLY site with multiple experts in the Top 10 for IN-SEASON and Top 10 for DRAFT rankings, including a #3 overall draft and #5 overall in-season finish in 2017 and 2018. A lot of people buy magazines or find rankings on other sites, but the UDK unveils how the Footballers came to their rankings and how you can apply them to dominate your league. It is, dare I say, a true game-changer. Since the UDK is constantly updated, you know you’ll be walking into your draft ready to dominate locked-and-loaded with the latest intel and fantasy insights. Here are 6 reasons to Pre-Order the Ultimate Draft Kit in 2019 for the lowest possible price of the off-season at only $24.99. 1. It is a proven championship commodity. Here’s a couple of real-life users who swear by the UDK and the Baller’s expertise leading them to a #FootClanTitle. 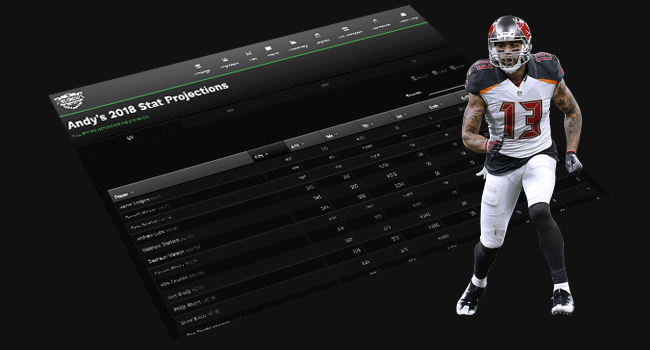 It’s unlike any other fantasy football draft tool on the planet. For anyone looking for an exceptional edge, take a glance at the #UDK this year from the @TheFFBallers. Guarantee a fuller and smarter draft experience to give you an early edge in your leagues. If someone goes down in training camp or ascends the depth chart, your magazine can do little to help you stay with the flow of ongoing changes. 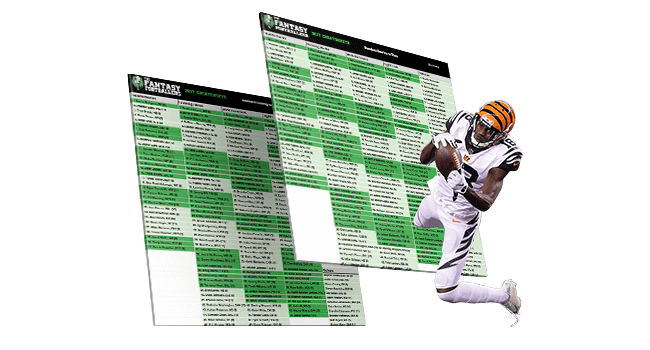 Whether your league convenes in July or late August for your draft, the Ultimate Draft Kit is basically there as your best friend and optimized research guru to help no matter what the offseason throws your way. Finally! This year the UDK comes in an easy-to-use mobile app. This was by far one of the most asked about features to add to an already championship-winning product. 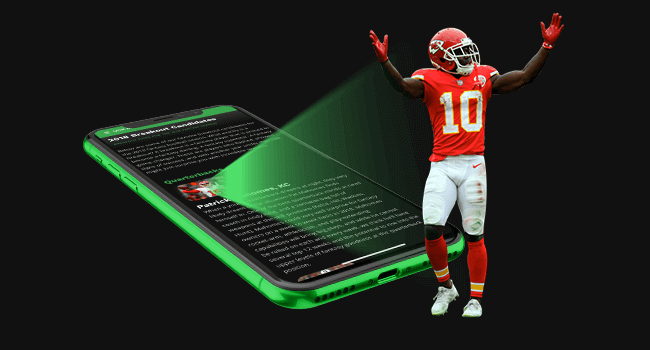 All users of the UDK will have the Ultimate Draft Kit app available on your mobile device with the best information in the industry. Have it handy mid-draft and dominate your league with this FREE addition to the UDK — included for all buyers. You won’t be able to find this amount of data and WR scouting anywhere else on the internet. Yahoo’s Matt Harmon is arguably the premier voice in the fantasy industry when it comes to wide receivers. His Reception Perception content charts the success rates versus different types of coverage as well as the type of routes receivers are running routinely. 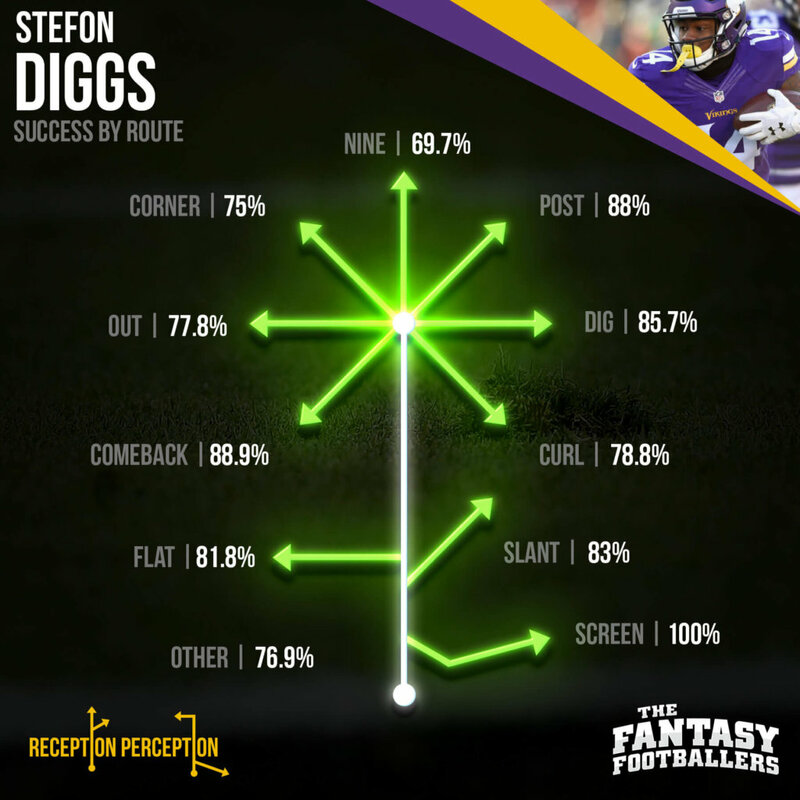 If you want to get ahead of the crowd, as Harmon did with recent breakouts such as Stefon Diggs, then his Reception Perception methodology is what you need. The UDK includes Harmon’s exclusive full charting and profiles of the top-50 Wide Receivers for the 2019 fantasy football season as well as the top rookie WR prospects. You won’t be able to find this wealth of information apart from diving into the UDK. One of the main ways the Ballers recommend heading into the draft day is organizing your draft board into tiers. They are in agreement that draft strategy centers more around tier-based drafting as opposed to a position-specific plan. We even have articles explaining how tier-based rankings work in the 2019 UDK and the benefits of approaching a draft this way. The cheat sheets are also upgraded this year in a colorful, 1-page printable that is downloadable and super easy to use. Did you own Todd Gurley in 2017? Andy Holloway was all over that. How about Patrick Mahomes this year? He was listed in the breakout section of the UDK. If you were among the fortunate souls that pounced on these two, you most likely coasted to the fantasy playoffs and that #footclantitle. The key to identifying sleeper candidates at every position is not simply giving hot takes but finding players drafted late or deflated in price but primed to emerge based on previous trends. Finding breakout players ready to make the leap into the fantasy elite is something Andy, Mike, and Jason spend all off-season honing in on. This is another piece of the UDK that will be constantly updated. Jump on this deal now to Pre-Order the Ultimate Draft Kit for the Early Bird special price of $24.99! I love the Footballers’ approach – the UDK is affordable and prepares you for your draft by giving you everything you need to make an informed decision rather than the ‘seat of the pants’ type we sometimes make. More of an objective, data based approach. The new app is a nice touch. Once you’ve drafted, you put the UDK on the shelf and transition to the Footballer’s daily podcasts/Youtube vids and rankings for updates as the season goes along. It’s a great approach to enjoying the Fantasy Football experience. I also appreciate the Footballers do this year round – so I don’t have to wait until next August to get back into FF. Thanks guys!! Now, get to the chopper! !